Palermo on business or looking for a short break. 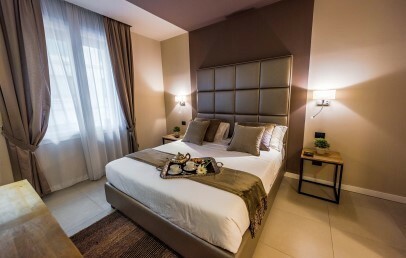 An accommodation solution strongly recommended to those seeking to plunge directly into city life, Delle Vittorie is set in the heart of Palermo just a short distance from the Quattro Canti, the historic and business heart of the city. Its position makes it simple to reach on foot the main attractions of Palermo: the Cathedral, the Church of Martorana, the Royal Palace, Palace D’Orleans and the historic markets of Ballarò, Vucciria and Capo. 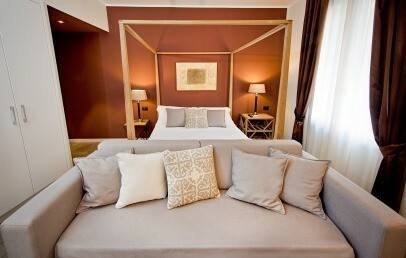 Delle Vittorie is a stylish boutique B&B looking out directly on the historic Galleria delle Vittorie. Recently refurbished, it is marked by an understated contemporary style, a quiet and relaxing atmosphere and a wide range of services. 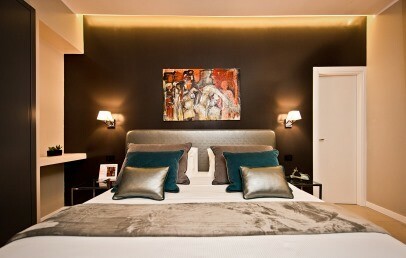 Its 6 rooms are comfortable and perfectly soundproofed and look out over the pedestrian area of Via Maqueda and Via Bari. All rooms are stylishly furnished and have a wardrobe, desk, AC, LED TV, small safe, kettle and mini-bar; windows and walls are soundproofed. Wi-Fi is free and available in all rooms. The breakfast buffet is served each morning in the elegant hall (from 8:00 to 11:00), which looks out directly on the characteristic Galleria delle Vittorie. Accompanied by the muted chords of jazz, the buffet offers a typical Italian breakfast, with cakes, pastries and cereals. There is also bread, cheeses and ham for those preferring a savoury breakfast. Amongst delicacies prepared on the spot are cakes and pastries and, on request, gluten-free items. The hotel does not have a restaurant, but our staff will be happy to direct you to some of the best in the city. 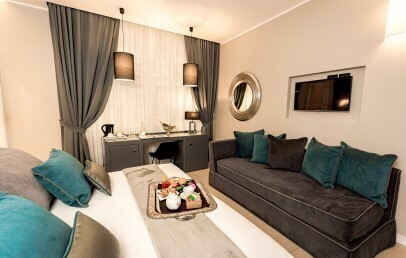 Guests will also find a small cellar of regional wines from which to make purchases for delivery to your room. The price of your stay includes breakfast, Wi-Fi connection, porter service (multi-lingual) and the use of elegant bicycles. Payment of a supplement will ensure: transfers to/from the airport, city tours with driver in 3-wheeler, boat and mountain excursions, wellness routes at a spa next to the hotel, with concessionary prices. Check-in is from 12:00 to 18:00 and check-out up to 10:30 (times can be modified to meet guests’ needs). Late check-out available on request and subject to availability. Tassa di soggiorno (tourist tax) – the Municipality of Palermo charges a tax of Euro 1.50 per person per night, excluding children under 12. The tax is to be paid on site. 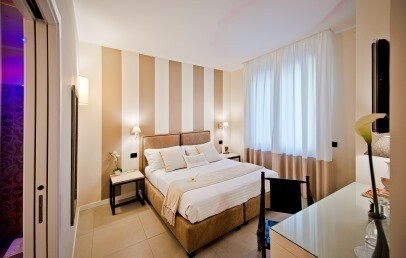 Furnished with fine antiques and stylish curtains, the standard rooms look out over Via Bari. They have a bathroom with shower and a full range of comforts. 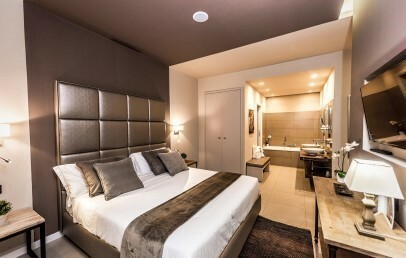 Soundproofed room looking out over the pedestrian area of Via Maqueda, the Superior is marked by contemporary style and luxury finishes. 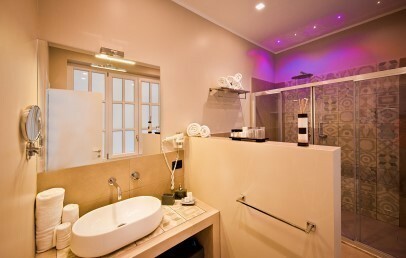 The en-suite has a chromo-therapy shower and there is a full range of comforts. 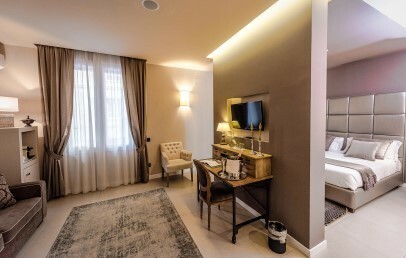 Elegant and stylish, furnished in line with the latest contemporary trends, the Deluxe looks out with its large window onto historic Galleria delle Vittorie. 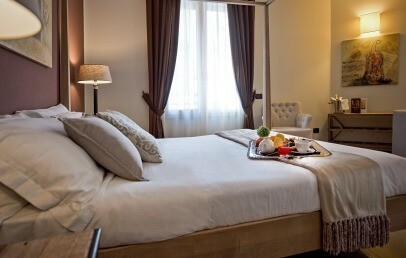 It has a king-size double bed, a sofa bed and a host of pillows. 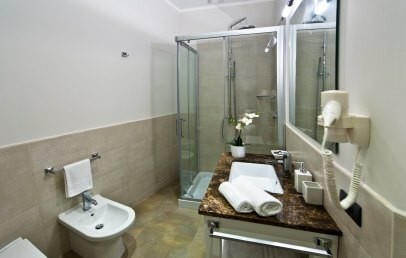 The en-suite has a chromo-therapy shower and a full range of comforts. 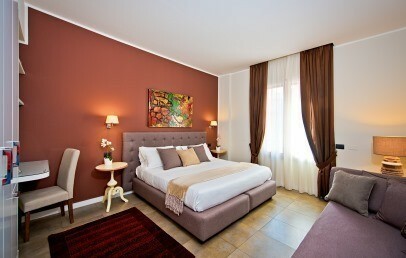 Welcoming family accommodation, well-furnished, the Deluxe Family can host 2 adults and 2 children. 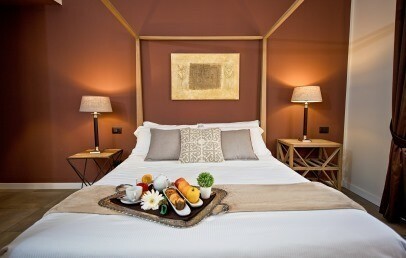 It has a double bed with canopy and a double sofa bed. It has two windows looking out over the pedestrian area of Via Maqueda and Via Bari. An exclusive room in contemporary design, the Suite has two separate sleeping areas with a king-size double bed and large sofa bed. 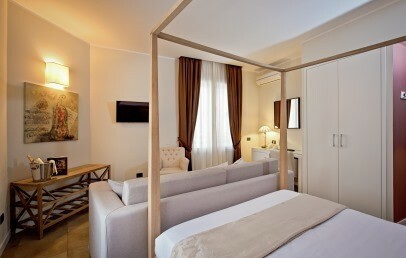 The Suite, looking out with its double window over Via Bari, is ideal for a family stay. 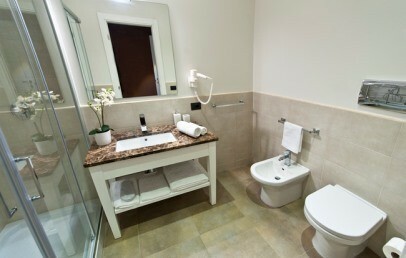 The large en-suite has a double washbasin, chromo-therapy shower and tub with a view of the room.